As discussed in the Hawkins Bar to Willow Creek section’s write up, I began to run this stretch of the river with my Boy Scout troop when I was 10 years old. 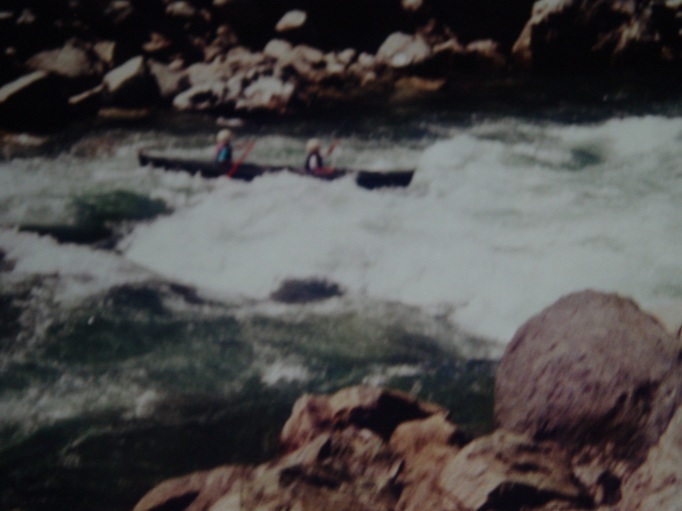 This day was a short day for us on the water in our quest to do 50 miles in 5 days. 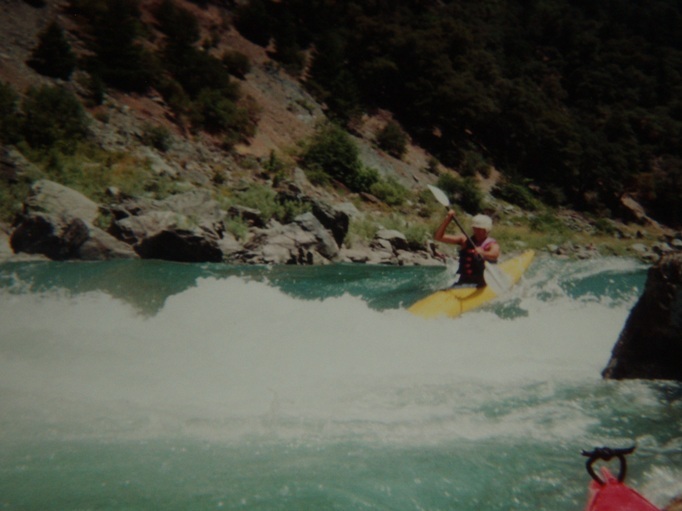 Some years we would put on early, stop at Tish Tang for lunch, drive down to the beginning of Weitchpec gorge and run half that stretch before camping on the river. A great plan if you have a shuttle bunny to set shuttle for you (thanks mom, although you really could have been a better sport about the bunny outfit). Anyways, this stretch is a little harder than the stretch upstream and has a lot more in between rapids that are class II. 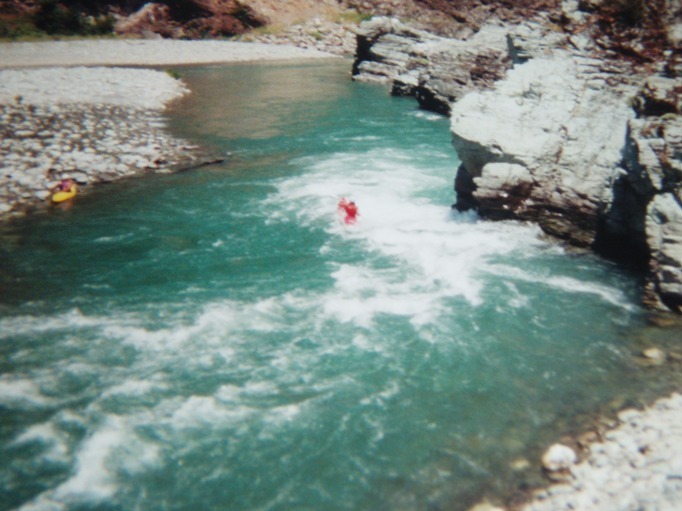 There are two rapids that stand out on this stretch, both within a short distance. 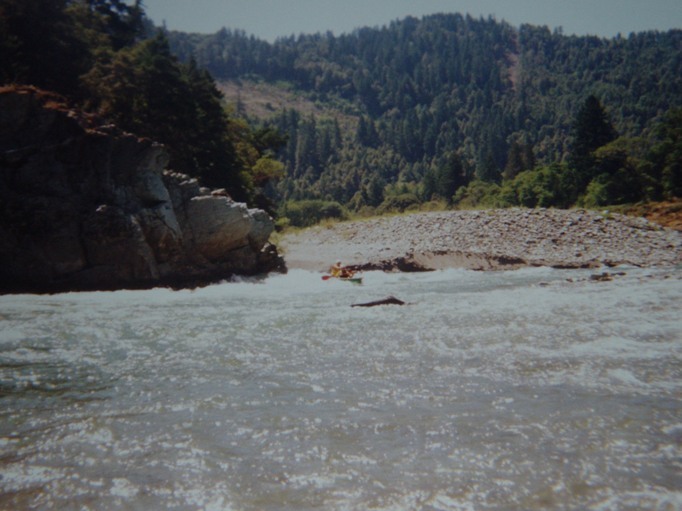 This stretch is a little more scenic than that upstream and therefore an even more pleasant of a float. Sugar Bowl (II+). When the river makes a near 180 degree turn, and at the needle point of it is a nice side creek. Take the next beach on the right if you want to scout, it is a little walk though. 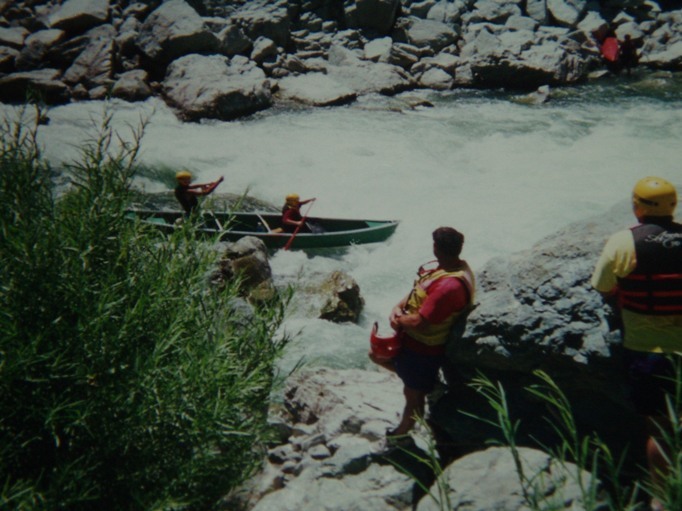 We usually ran this rapid on the left. It is a ledge drop which in the middle was pretty sticky. 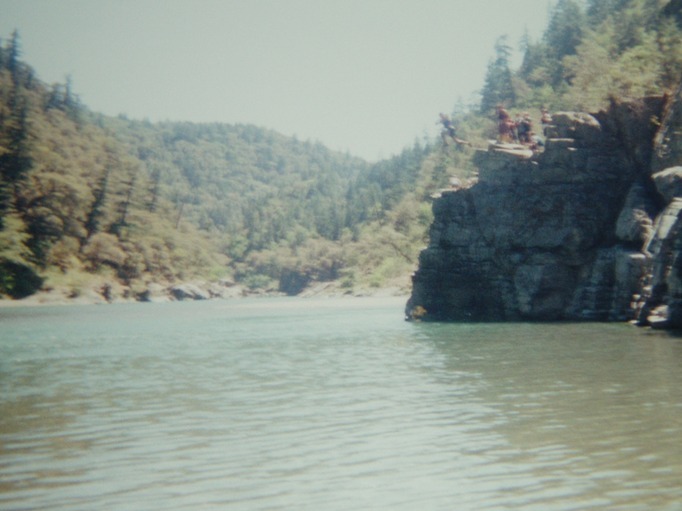 Just downstream of it was a rock which could wrap an overturned boat. The Wall (II+). About ¾ of a mile after Sugar Bowl this rapid comes on a quick S-turn. If the water is high enough there is a sneak channel which appears on the left. The water in the main line slams into a wall and disappears deep into the green water behind. Swimmer often went deep before resurfacing, sometimes being sucked back around for another go around. Logistically it is easy to scout on the right or portage on the left or island depending on the year. Take out: Off of 96 find Tish Tang Campground which is North of Willow Creek. Take the camp road down to the river. Put in: Go South on 96, just before you cross the bridge which leads to the town of Willow Creek, you will see a gravel pit sort of thing on your left. Turn on the road just after this and follow around to the water.